Particularly suited to couples and families, this lively, comfortable holiday base offers easy access to the beach and boasts a good range of facilities. We were a family of 6, us, our son and his wife and two granddaughters aged 6 and 9. It was perfect for the children as there was entertainment day and night for them but it wasn't intrusive. The all-inclusive was great; they could get drinks and ice cream whenever they wanted. The man who worked at the snack bar was amazing, so efficient. We had no problem getting sun beds. The only down side was the lift doors were too narrow to get the wheelchair in and the ramp to the restaurant is very steep. Luckily our son was able to push up the ramp, the reception staff were very helpful and there was a security guard patrolling at night. All in all it was excellent and we are going back next year. Hotel tip: We had apartment on ground floor next to the small pool. It was very quiet. There is a small garden to sit in as well. Myself, daughter, brother & sister-in law stayed at The Puente Real hotel 19-24th Sept 2010. It was all-inclusive and we cannot rate the hotel highly enough - in all aspects. The room was large, spacious, well-equipped and the balcony was plenty big enough for us all to sit comfortably. The food was amazingly good - so much choice for each meal. In particular we loved the soups and as a vegetarian I thoroughly enjoyed a different fish dish every day. The dining room was also very clean and bright. The pool bar was great - the staff friendly and the drinks very good quality. The actual pool area was wonderful too - plenty of beds available and lots of space. The entertainment was of a very high standard and enjoyed by us all. To sum up - we all enjoyed our stay immensely and I would love to return - very soon! 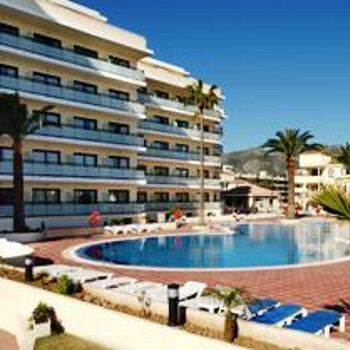 the hotel is a great complex very clean and quite up to date.when myself and family stayed we were entertained by cloud 9 entertainments and it was fantastic great bands and solo artist all week. We have just returned back from the hotel Puente Real in Torremolinos and we did not want to come home! I travelled with my husband and my 2 children aged 6 and 9. The kids loved this hotel as there was the mini club that kept them out of trouble for the most of the day. If you have money to waste do not go there give it to charity. There are birds everywhere thus they leave droppings everywhere. Not enough beds, not enough parasols, no such thing as a white towel, you would get a better shower if you stood in the rain. The apartment we stayed in was at the back by the tennis courts they had bird nests over head so dead birds and hatched eggs would fall out drawing ants in their hundreds so if you like wildlife it is the place to be. All in all completely substandard. The above list is only the tip of the iceberg. They should be withdrawn! Since our return I have written a four page letter to Budget waited four months for a reply [no satisfaction]. Do yourself a favour stay well clear!! You have been warned! We read these reviews just after we had booked our holiday together and we could have cried as so many of them were so bad. Although we would just like to say that as of 2006 this hotel is not at all diabolical or disgusting but actually a pleasant place to visit. We had booked all inclusive and was very worried with people complaining about the food although it was actually very nice and the puddings are fantastic. The pool bar food is of a good standard and the staff are always very helpful and can speak not only fluent in English but also Spanish,German, French,Polish and many more. This was probably are only complaint that bingo took a good hour to play with every number being called in every language. The hotel rooms are of a very good standard and are cleaned every day with fresh towels and bed linen which we were very pleased with. We didn't fly till late at night and we were out of our rooms for midday although we were given a courtesy room to have a shower in mid afternoon before leaving again very excellent and no trouble to the staff. The pool is fantastic but a little cold and there are plenty of sunbeds. The hotel entertainment runs throughout the day with excellent members of staff with plenty of things for children. The location is great if you are happy to walk to the centre of the resort about 30-40minutes away, although there are bars and shops closer along the way and a excellent bus and taxi service. The beach is very close across the road and is often quieter than the main resort end which is what we liked. Overall a very very pleasant stay at the Puente Real and would definately return, we are almost certain this has been rennovated to the standard it is today! The food was great, lots of choice both lunch and evening meal. No queues even at the restaurant bar. The room was cleaned every day, clean towels every day. Staff some good some bad. Restaurants bad you just did not want to be in there the food was diabolical it was like they went to buy all the meat fish and veg at the market at the end of the day what no one else wanted. After reading the comments about this hotel before I travelled, I was thinking of cancelling. Me and my husband took our chances and went. First impressions of the hotel were very good. Very clean. Receptionist very helpful. Rooms reminded me of a travel lodge, basic but had everything in you would need. Rooms were cleaned daily. Pool area was very nice, but the pool was very, very cold so no-one really went in it. Entertainment and music around the pool throughout the day. Hotel food was very nice, choice of 2 fish and 2 meat dishes for dinner along with salads and pasta and cakes / ice cream for desert. The location of the hotel is good if you want a quiet holiday or if you are beach lovers as it is right across from the beach. Overall, I found the hotel very nice and not at all like the comments which other people have wrote. You have to remember it is a 3* hotel! and I would recommend it.